Common centaury is a European native also found in parts of northern Africa and western Asia. This member of the gentian family of flowering plants is known by several nicknames, including Filwort, Feverwort and Red Centaury, the latter being a reference to its flower color. The herb is mentioned in several medieval literary works as a bitter tonic herb that is particularly effective against “wykked sperytis.” Tradition and superstition aside, today we know that the aerial parts of the plant contain several antioxidant compounds, as well as brassicasterol and stigmasterol. active compounds Erythro-centaurin, which is colorless, crystalline, non-nitrogenous, reddened by sunlight; a bitter glucoside, Erytaurin; Valeric acid, wax, etc. appearance & aroma Woody and fibrous with a bitter aroma. cosmetic Use a strong infusion as a wash for skin and scalp. culinary Use in teas, tonics and in bitter herbal liquors. 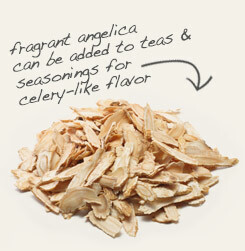 Centaury and angelica root are often combined in herbal bitter formulas. 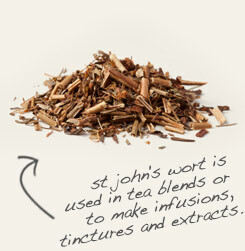 Combine with St. John’s wort to make infused oils and tinctures for use in creams and lotions to help reduce inflammation. Bitter and astringent. Combine with other bitter herbs in teas and tonics. Centaury, also known as bitter herb, bitter bloom and centaury gentian, is an annual, shade-loving herb that is naturally distributed throughout Europe, northern Africa and western Asia. Like its cousin, wild gentian, it is a traditional ingredient in Swiss herbal bitters and in vermouth. Among various phenolic acids and bitter glycosides, centaury contains an anti-inflammatory alkaloid called gentianine. 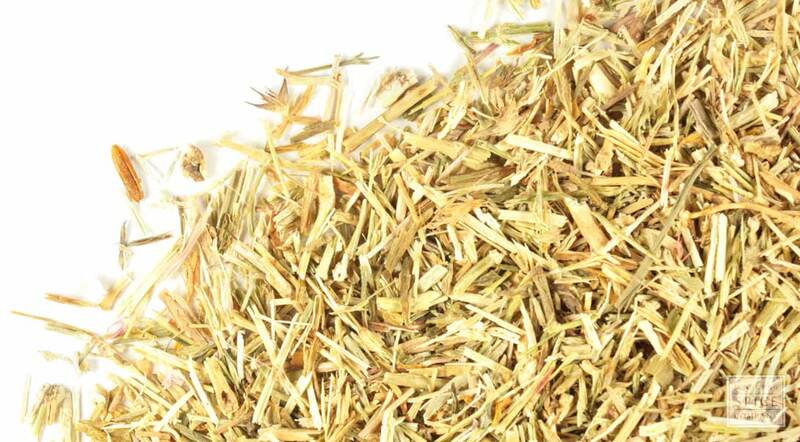 The herb also contains a high degree of tannins, which are responsible for its astringent qualities. In the gastrointestinal tract, astringent tannins enhance digestion by stimulating the production of digestive juices and bile. This is why herbal bitter liquors are usually take immediately after or just prior to a heavy meal. Background: The name of the genus to which it is at present assigned, Erythraea, is derived from the Greek erythros (red), from the colour of the flowers. The genus was formerly called Chironia from the Centaur Chiron. The English name Centaury has the same origin. The ancients named the plant Fel Terrae, Gall of the Earth, from its extreme bitterness. The Old English name of Felwort is related to this and is applied to all the plants of the Gentian family. It is listed as one of the 'Fifteen magical herbs of the Ancients'. Within a poem of the 10th century by Mercer, there is mention of Centaury and other herbs as being powerful against 'wykked sperytis.' (translation: evil spirits). The plant is a native of Europe and North Africa. Though common in this country in dry pastures and on chalky cliffs, cultivation requires great skill.